Democrat and Republican policy experts weigh in on how to value reliable and low-carbon energy resources. There's a vibrant debate taking place around the country on whether or not nuclear power should remain a part of the energy mix. It's an issue that's created strange bedfellows. In South Carolina and Georgia, where the first nuclear reactors to be built in the U.S. since the 1990s are under construction, the projects are facing major delays and cost overruns. Investors in South Carolina's VC Summer plant recently abandoned the project. Still, some Republican policymakers support completing the new reactors in order to a have a supply of reliable and clean baseload energy -- even if it requires several billions of dollars in additional customer support. The Georgia nuclear plant continues to move forward, for now, while lawmakers in South Carolina examine options to reboot the project. 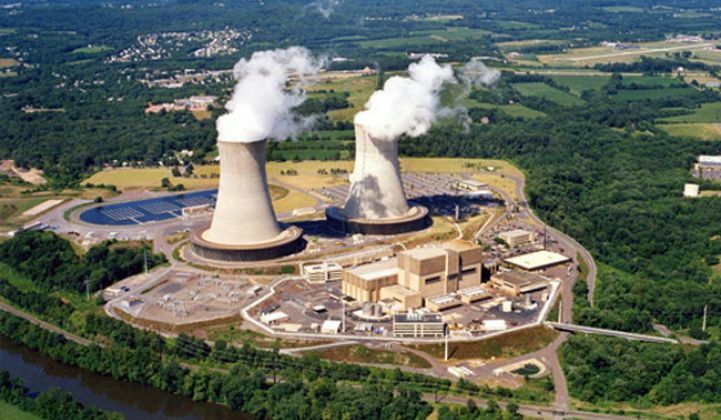 Advocates for other low-carbon energy resources, meanwhile, say state policymakers should let competitive markets prevail and not attempt to prop up the nuclear plants. It's a similar story in New York and Illinois, where state policymakers are defending subsidy programs for existing nuclear power plants, while progressives are divided on the issue and some have aligned in with fossil fuel generators in opposing the nuclear credits. The ongoing solar trade case before the International Trade Commission has cut across traditional party lines, too, with conservative free market groups joining forces with ardent solar industry supporters -- although the two camps have clashed in the past. President Trump's views on these issues, meanwhile, remain a wildcard. We tackle the political questions surrounding the future of nuclear debate, as well as the solar trade case, in our latest episode of The Green Room -- GTM's live video series on clean energy news and issues, from a bipartisan perspective. Our guests, as always, are Shane Skelton, former energy policy adviser to Paul Ryan and partner at S2C Pacific, and Brandon Hurlbut, former DOE chief of staff under Steven Chu and partner at Boundary Stone Partners. This story was updated with additional information on the Georgia and South Carolina nuclear projects.